benefit from best practices, research-driven education, and shared experiences. demands of their oversight and advisory roles. ethics as part of the curriculum). Exam-based certification is a way for directors to test and prove their growing knowledge. Our 2018–2019 NACD Public Company Governance Survey showed that 69 percent of respondents said that their board dedicates resources to continuing education, and 59 percent agreed that education is “necessary for director effectiveness.” The survey showed that directors on average are already devoting 20 hours per year to learning more about their responsibilities in the boardroom, but they lack formal evidence of their knowledge and competence. By providing formal testing and certification, NACD’s certificate will provide such evidence. Our many years of building a community of directors has enabled us to create a test by directors, for directors, based on the real issues encountered by boards that seek to be effective. Furthermore, thanks to ongoing advisory and evaluation work, we have reached a point in our evolution where we understand as never before the real issues facing boards. Our Board Advisory Services has guided more than 1,000 board self-evaluations since beginning formal evaluation services in 2000, and our membership community has passed the 20,000 mark. Had we developed tests earlier in time, they may not have had the same realism as the ones we are developing now. NACD’s store of knowledge, after decades of development, is now fully comprehensive. Our two dozen Board Resource Centers on topics ranging from audit committee issues to sustainability show the breadth and depth of what directors need to know. These resource centers did not emerge overnight; they build on more than a quarter of a century of convening Blue Ribbon Commissions and conducting surveys. For decades, NACD has been convening the brightest minds in governance to create the materials supporting this credential, informed by such resources. This new certification and the rigor it provides is in many ways a culmination of this work.Last but not least, certifying directors helps us live up to our “world class” status as we participate in a global community of directors where exam-based certification is already a practice. As the newly elected chair of the Global Network of Director Institutes (GNDI), I am familiar with the practices of the 20 other members of the GNDI. Many of them already have exam-based certification, and we can learn from their experiences—both positive and negative—now as never before. have agreed to devote time to this historic effort. change, among other forces. The pace of change just keeps speeding up. of industry, region, or competitive peer group. critically needed to adequately protect any organization’s security. performance of companies in their portfolios. an action-oriented perspective about sustainability issues. developments to watch are offered. thereby triggering a performance premium. are demonstrating an ability to adapt to changing business realities. factors follow for interested companies to monitor going forward. Competitors issuing voluntary reports. As more companies report voluntarily, peers must consider whether to follow suit. The Sustainability Accounting Standards Board (SASB) provides useful examples of companies reporting in accordance with its standards to illustrate the transparency and impact of such reports on risk management, long-term performance, and brand image.US Securities and Exchange Commission (SEC) mandates. The SEC has been petitioned to standardize and mandate ESG disclosures through rulemaking. However, to date the Commission has been content to let market forces determine what issuers report.Attestation of selected sustainability information is increasing. Attestation has a long way to go in North America as it continues to lag behind the European Union in the number of externally assured reports. Voluntary use of attestation services is a key factor to watch.Pressure from activist shareholders. Pressure comes in many forms. For example, activists apply pressure on boards to change their composition and management incentives in the proxy process. They use ESG screening criteria to drive investment decisions within their portfolios. Institutional investors (e.g., BlackRock, Vanguard) are communicating pointed messages to boards and CEOs regarding the importance of ESG-related issues. It bears watching their actions closely to see if their bite matches their bark.Convergence of frameworks. Because the SASB standards are tailored specifically to U.S. companies and SEC filings, it is likely that they will continue to gain traction in the United States. But there are other frameworks in use. The SASB, Global Reporting Initiative, and International Integrated Reporting Council have announced a two-year project to collaborate on standardization of sustainability reporting frameworks, as well as on frameworks that promote further integration between nonfinancial and financial reporting. Progress on this effort to harmonize frameworks and metrics can raise the level of investor interest.Disruptive industry developments. Dutch Royal Shell’s decision to tie executive pay to carbon emissions is an example of an industry-first commitment to link incentive compensation to climate change. The automobile industry also is investing heavily in hybrid and electric cars, and its attendant effects on the oil and gas and power industries is another example of pending disruption. AESC’s Executive Talent Outlook 2019 measures the current pulse of the global business climate as it relates to talent and leadership. C-Suite leaders can explore findings to gain an understanding of top challenges and opportunities for 2019 and better understand how digital is driving demand for agility, innovation and diversity. Wilcox Miller & Nelson would like to invite you to join us in the upcoming CPI Webinar, “Workplace Civility on a Continuum” featuring Gary Cormier of Harvard University. As part of our firm’s participation in Career Partners International we periodically host webinars to share HR industry experts’ viewpoints on trending topics. This webinar will address the #MeToo movement and the inherent power imbalances in the workplace. While most employees feel that the #MeToo movement is healthy, of those surveyed only 1/3 have seen significant changes in their organizations. Gary Cormier joins us from Harvard University as a Senior Human Resources and Organizational Development Consultant. This foundational session will explore the business case for workplace civility as well as the implications of incivility. It will also help identify uncivil, inappropriate, negative, or bullying behaviors in the workplace and what can be done to mitigate them. Finally, it will conclude with ways to make civility part of your organization’s overall culture. Join us on December 11th at 8:00 A.M. PST for a 30-minute presentation and 15 minutes of Q&A. Register HERE. If you have ever wanted to land a leadership role in anything from overseeing state regulations to serving on a corporate board — a meeting Tuesday was all about the practical advice to get you there. 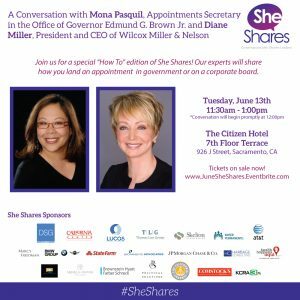 Two of the top women involved in appointing or promoting people for boards and commissions spoke to a group called “She Shares,” a powerful group of women focused on leadership and mentorships. For corporate board positions, Diane Miller points out that women make up just 16 percent of the top 3,000 corporate boards, but they are at least half of the consumers in the country — so their viewpoints are important. Get the full story at http://kcra.com/article/how-to-serve-on-a-board-or-commission-1497401682/10020110. Our experts will share how you land an appointment in government or on a corporate board. Ignore the Time Clock: Take a Break When You’re Tired! 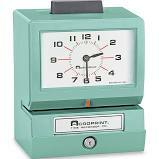 The 8 hour workday is a relic from days gone by. It was originally put into place to get a handle on the hours spent in manual labor during the industrial revolution. Technology has changed the way we work; isn’t it time we look differently at the 8 hour workday? A recent Forbes article noted that for peak efficiency (productivity levels), 52 minutes of work followed by a 17 minute break—very, very different than our current work schedule. Why? Because the brain naturally functions in short bursts of high energy, which is logically followed by a low energy cycle. Let’s take this as permission to give yourself a break when you are tired; you’ll be much more productive if you do. Younger vs. Older Workers — Are there Differences? The Harvard Business Review has a great article on the assumptions we make regarding younger and older workers. In looking at people from 24 to 80 and across industries, they found far fewer differences than we all imagined. In fact, many traits commonly associated with younger workers were the same across the workforce. People of every age are becoming aware of the changing nature of work and reinvesting in themselves. Whether workers continue past traditional retirement age due to financial pressures or the desire to do more, we all know the data shows that working longer is healthier than early retirement – healthier physically, mentally, and emotionally. And older workers are excited about their work, physically fit, and ready for new adventures.